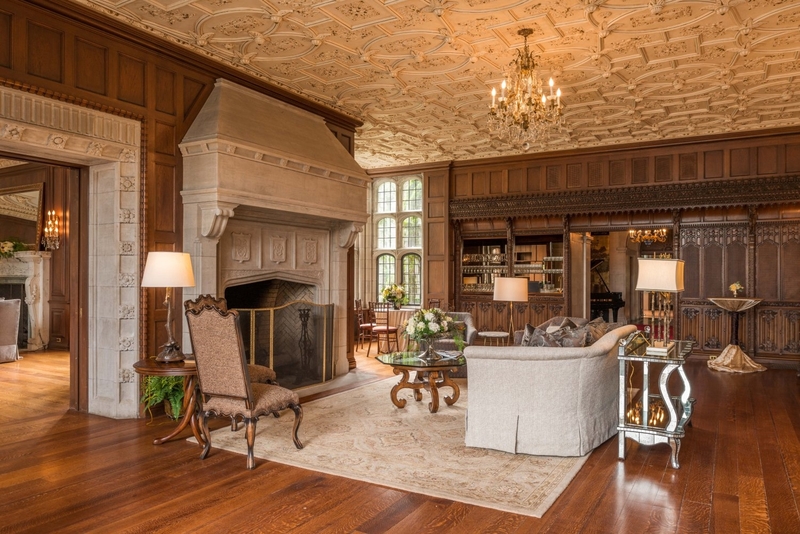 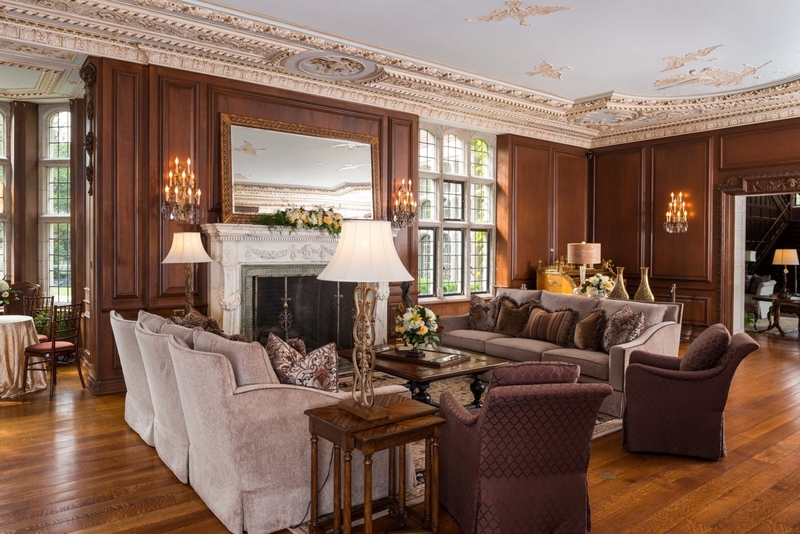 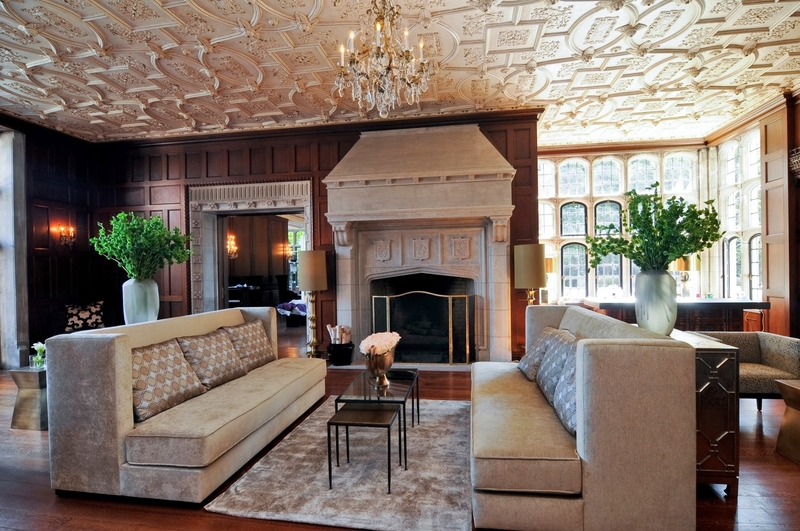 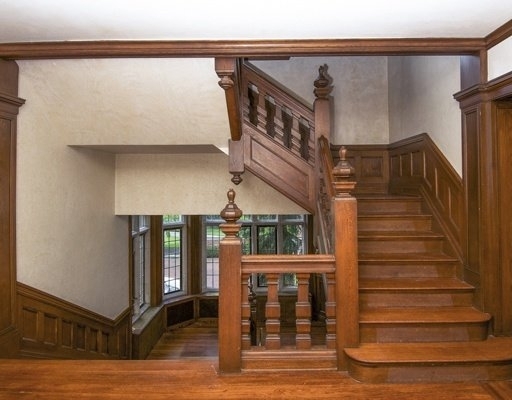 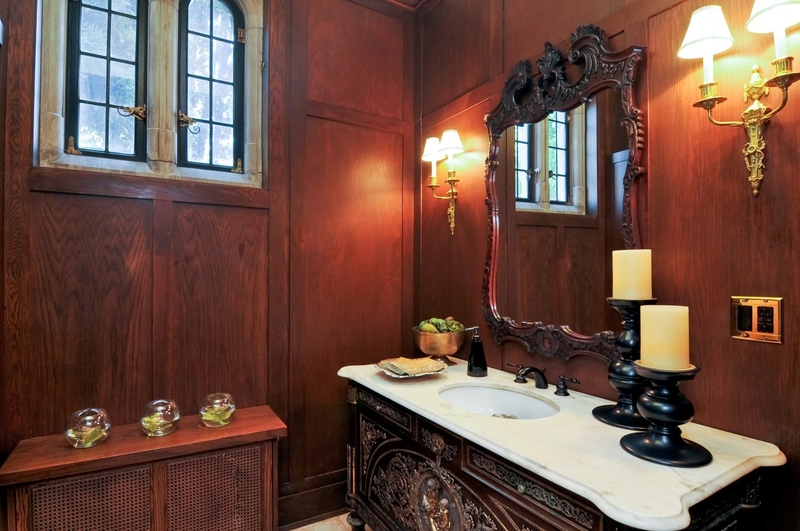 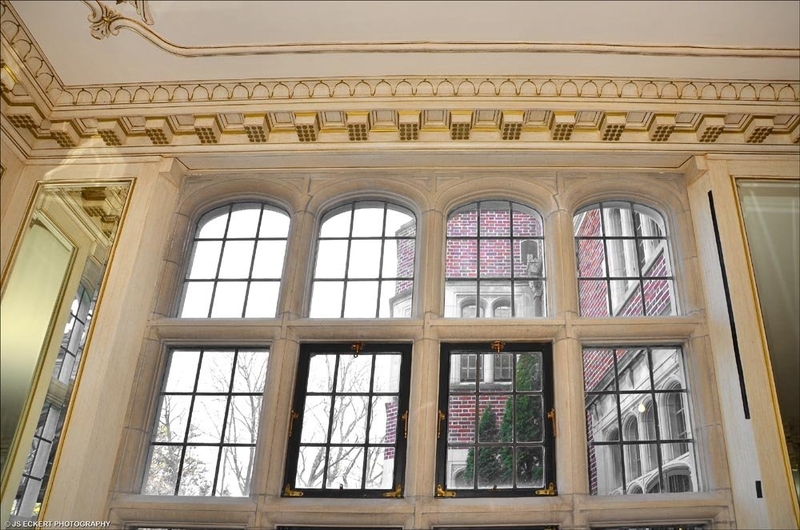 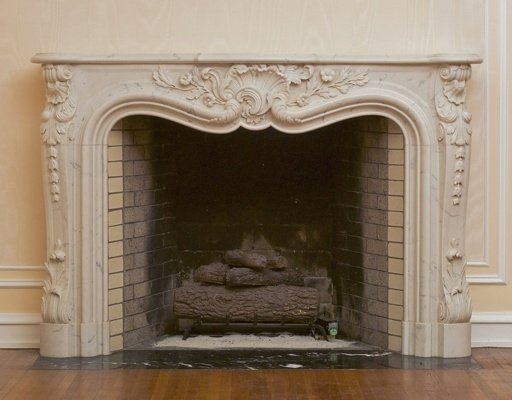 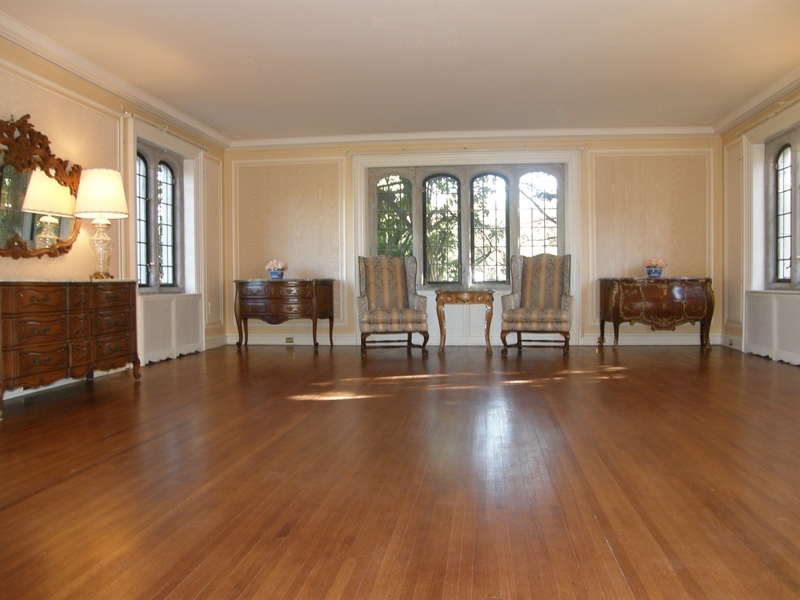 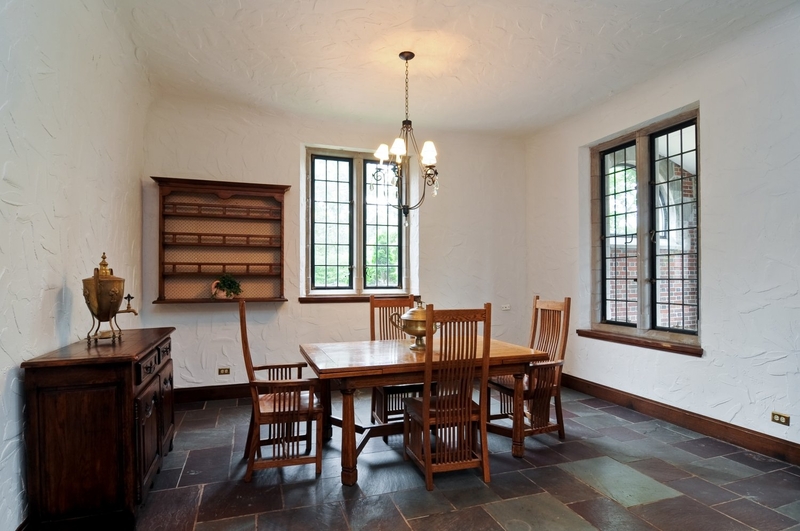 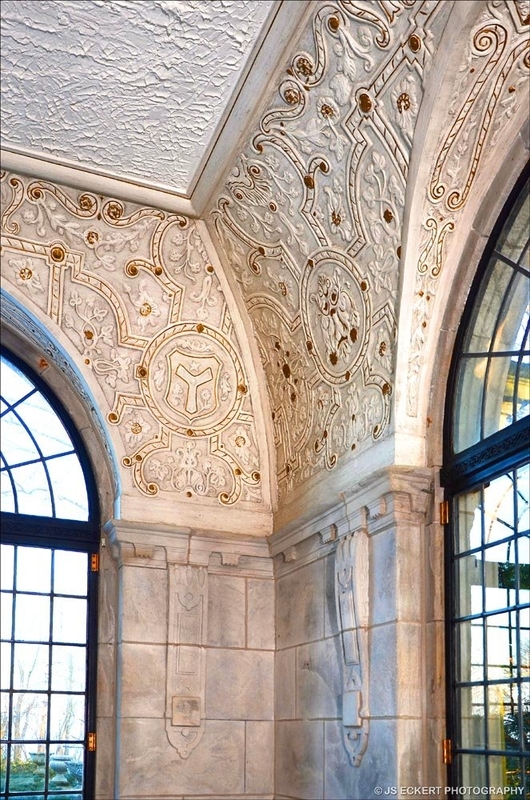 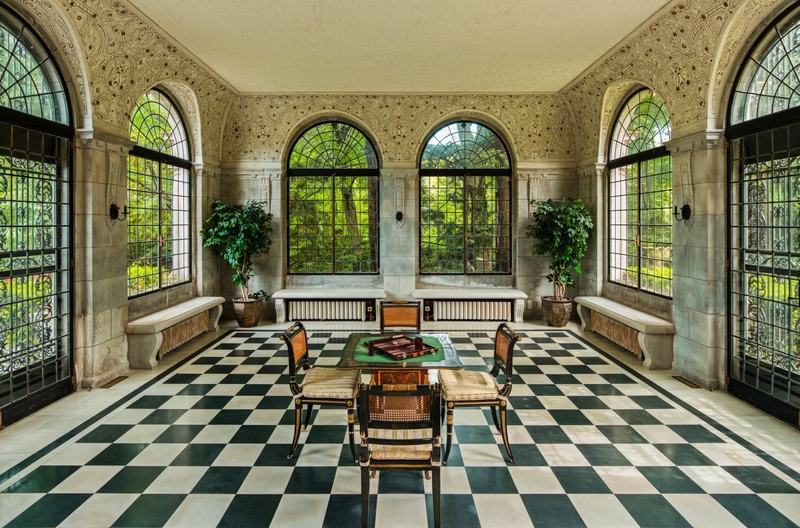 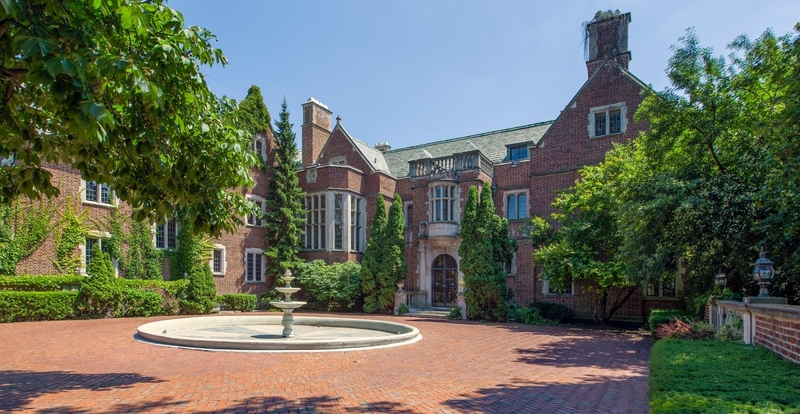 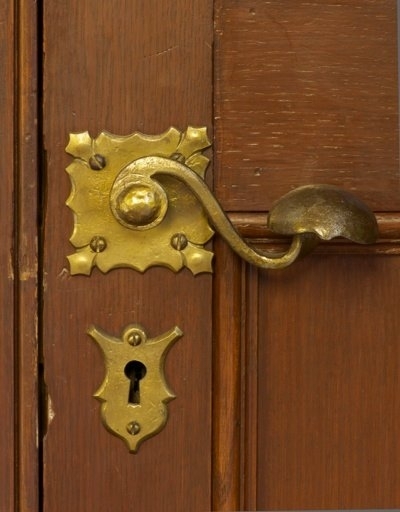 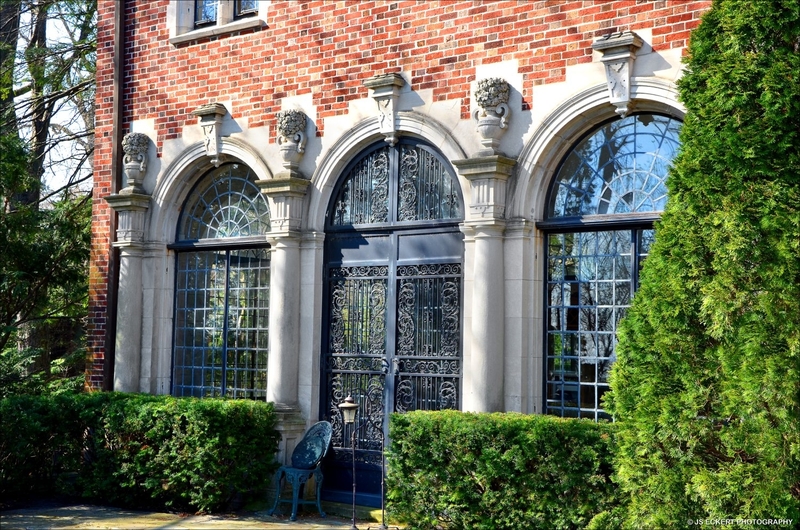 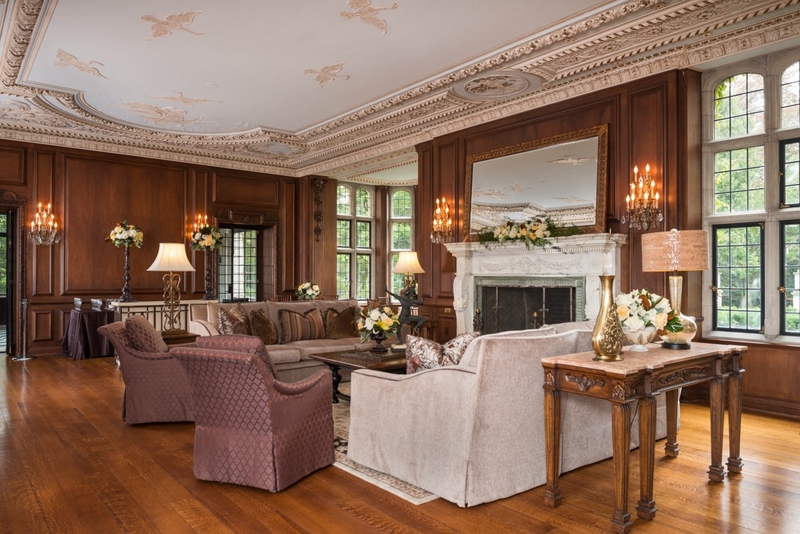 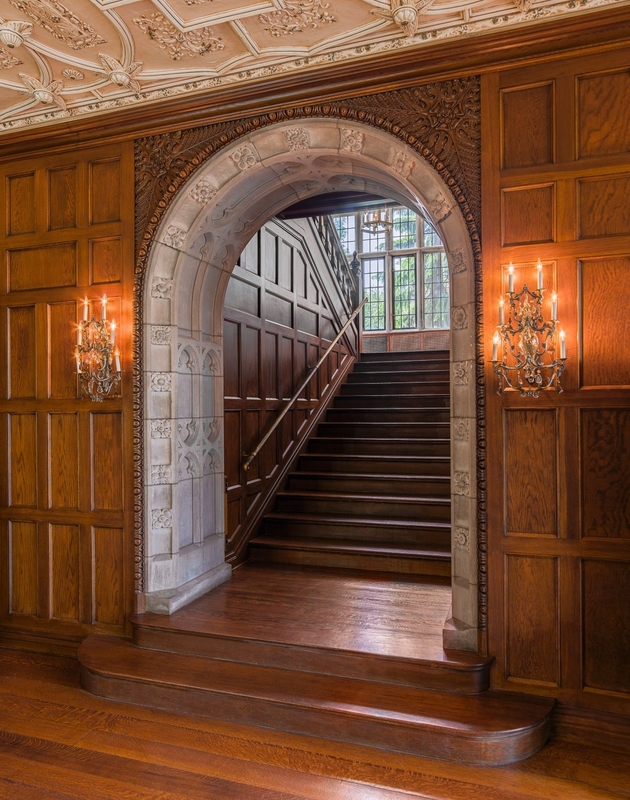 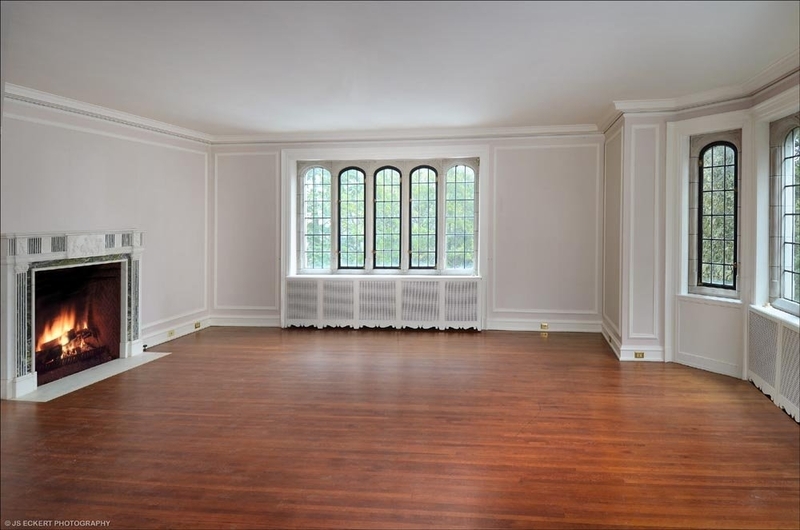 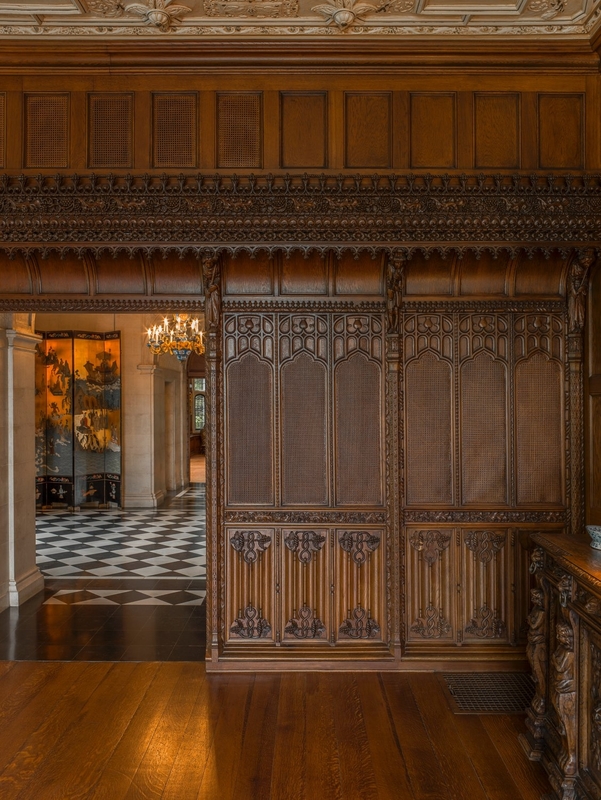 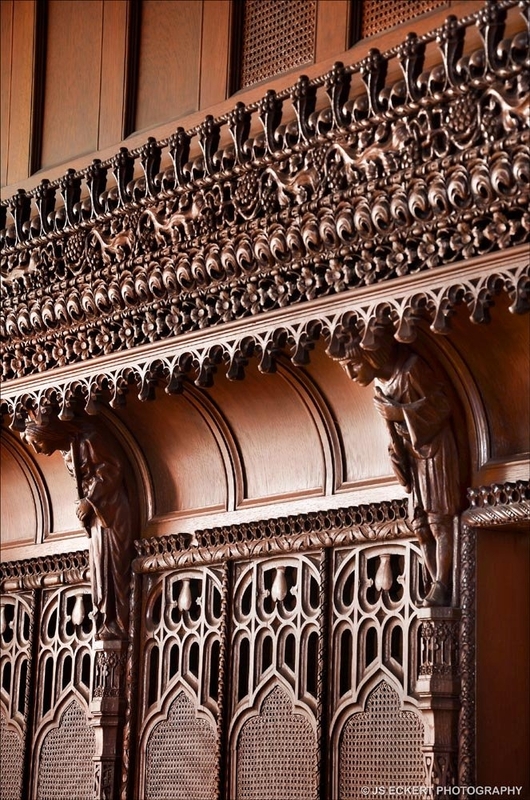 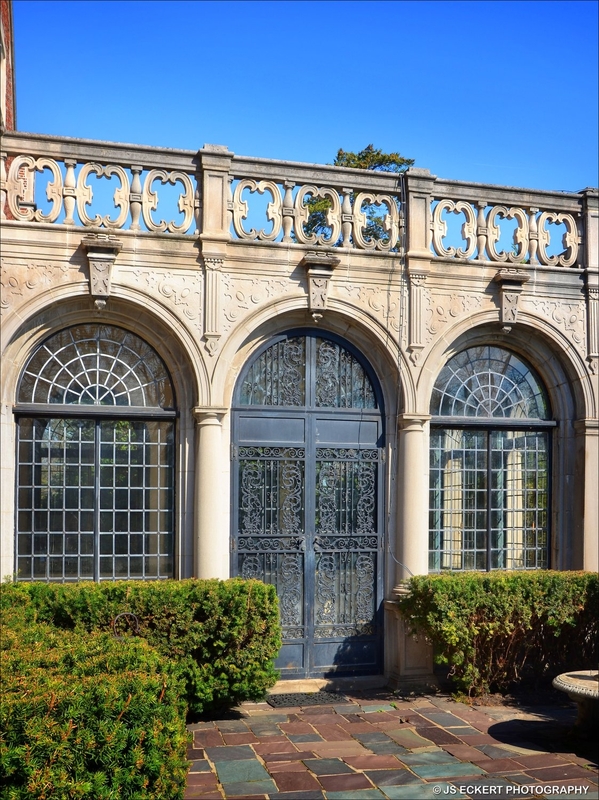 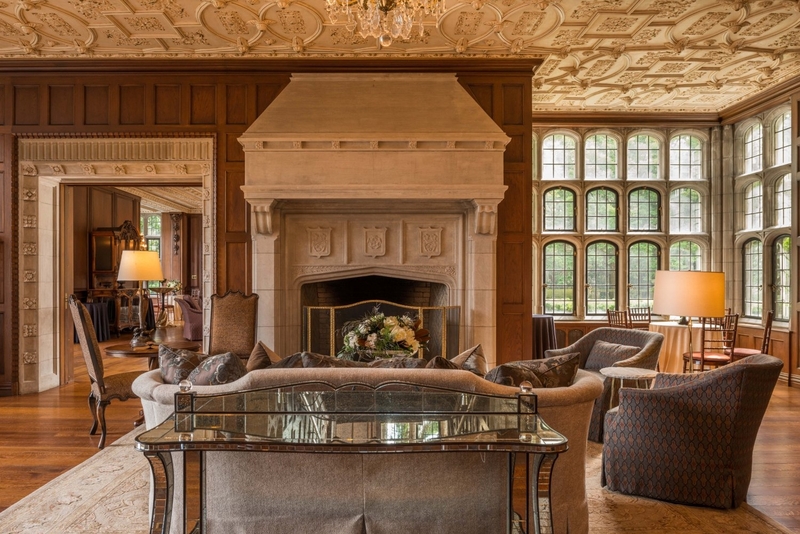 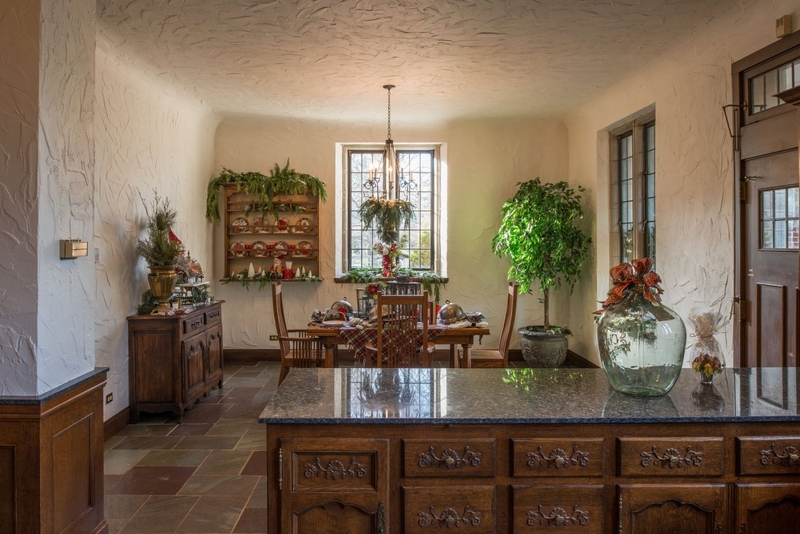 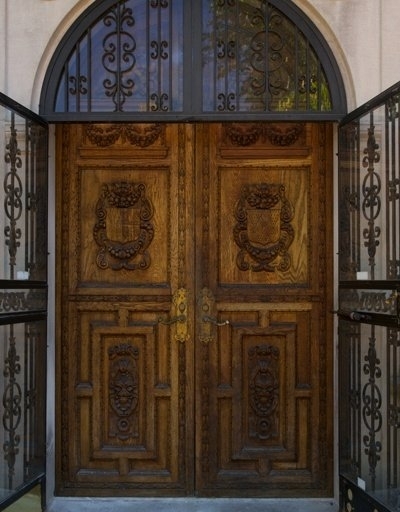 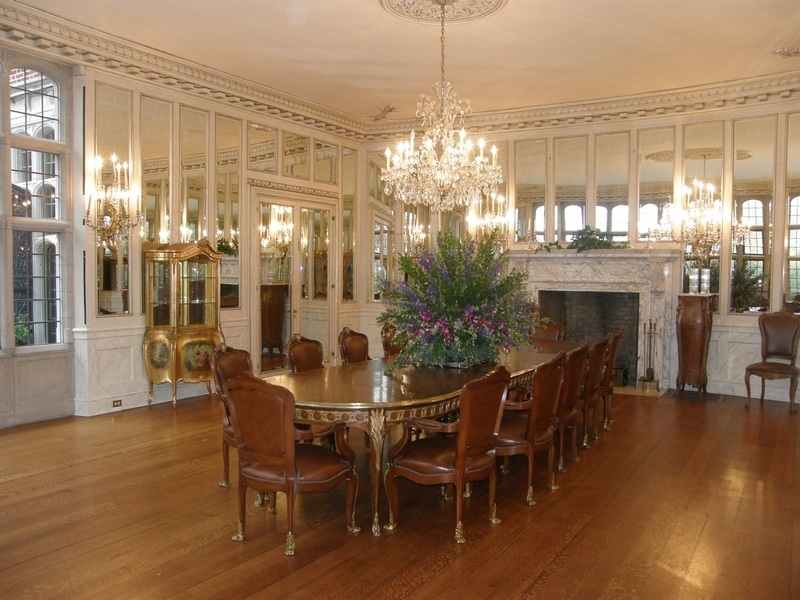 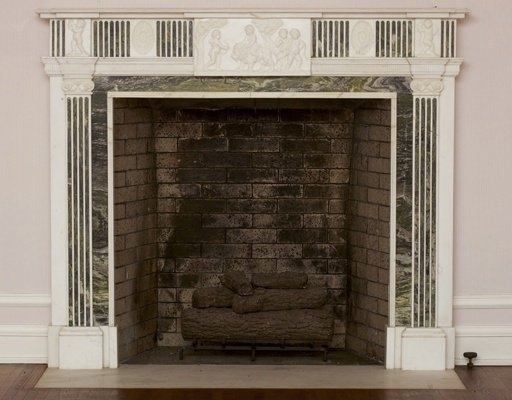 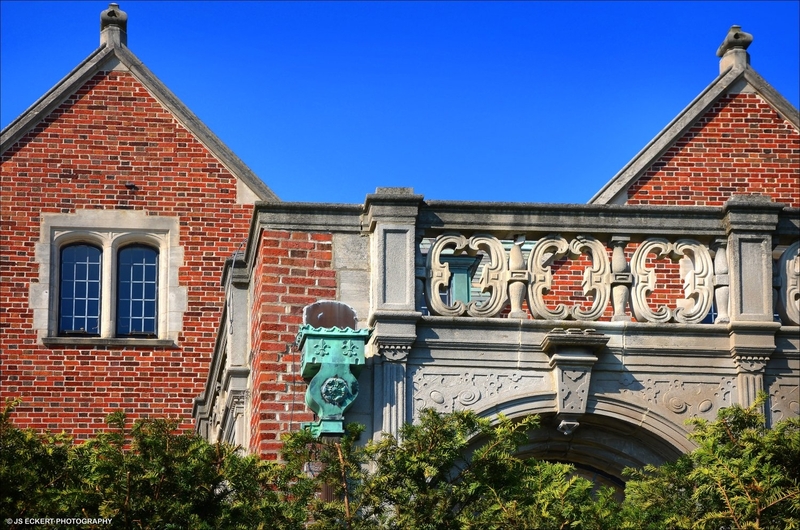 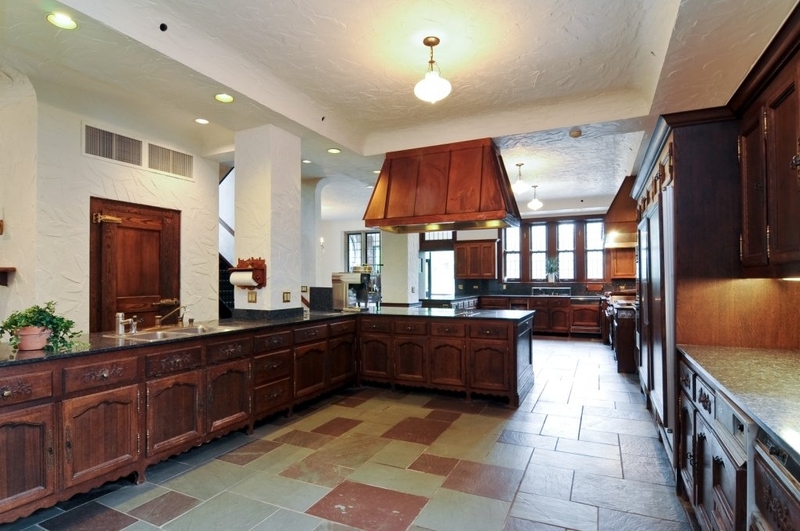 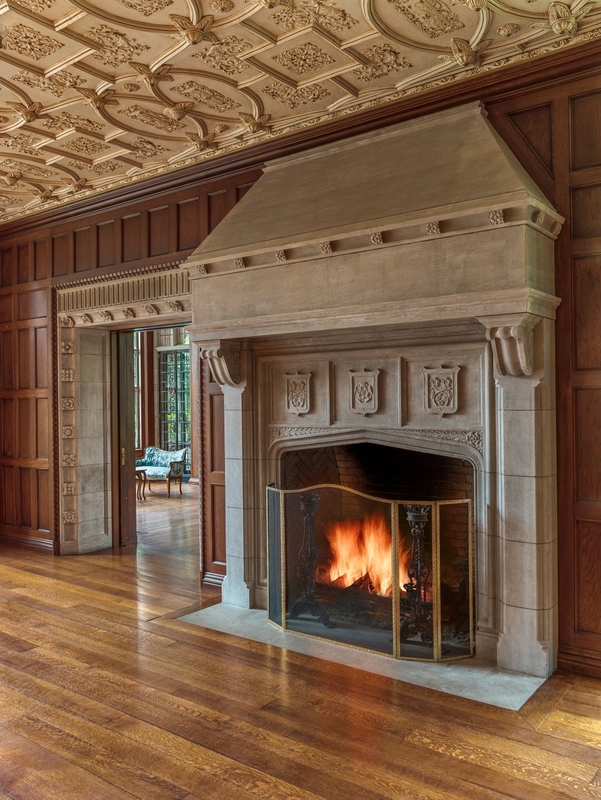 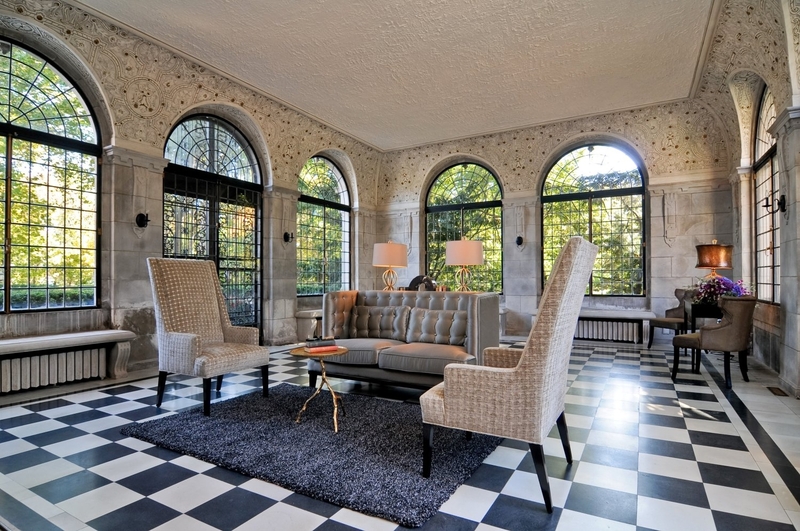 "Mayflower Place," One of Illinois’ most architecturally significant estates on Lake Michigan was restored to perfection in 1987 and 1988 by 70 craftsmen, including Italian artisans and Bavarian stonecrafters. 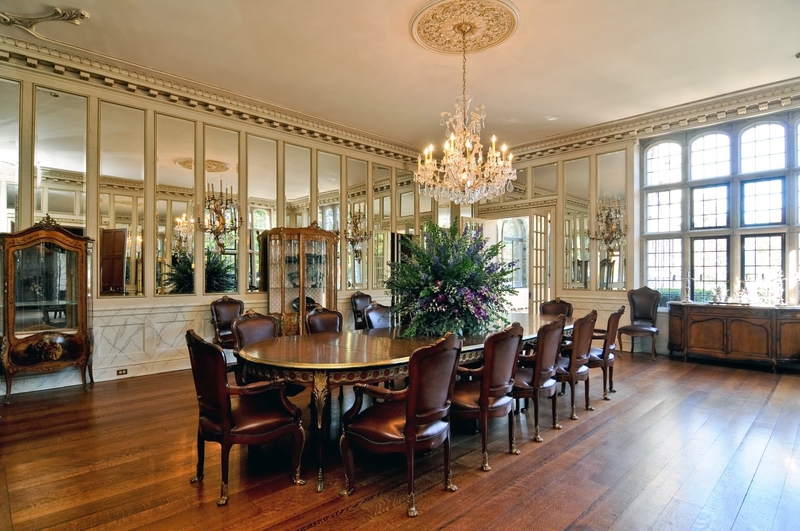 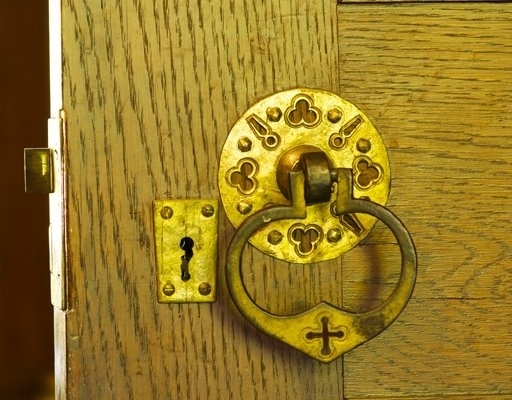 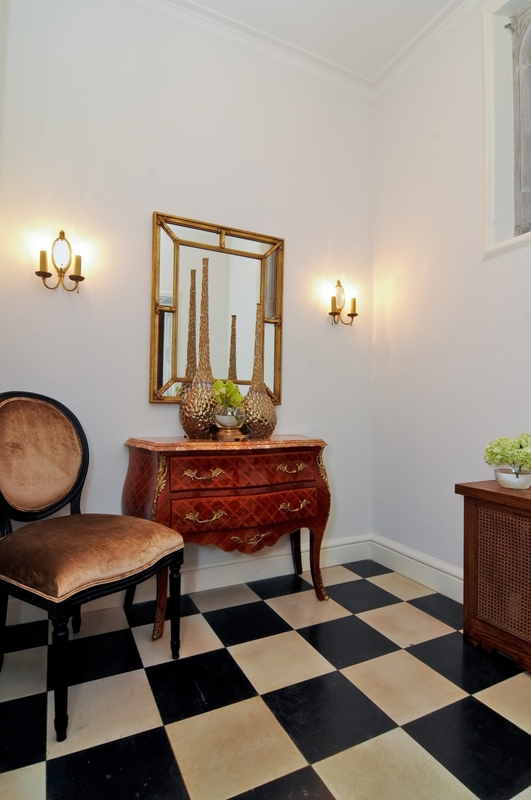 Fittingly for such a regal place, the estate, known as Mayflower Place, entertained royalty at least twice. 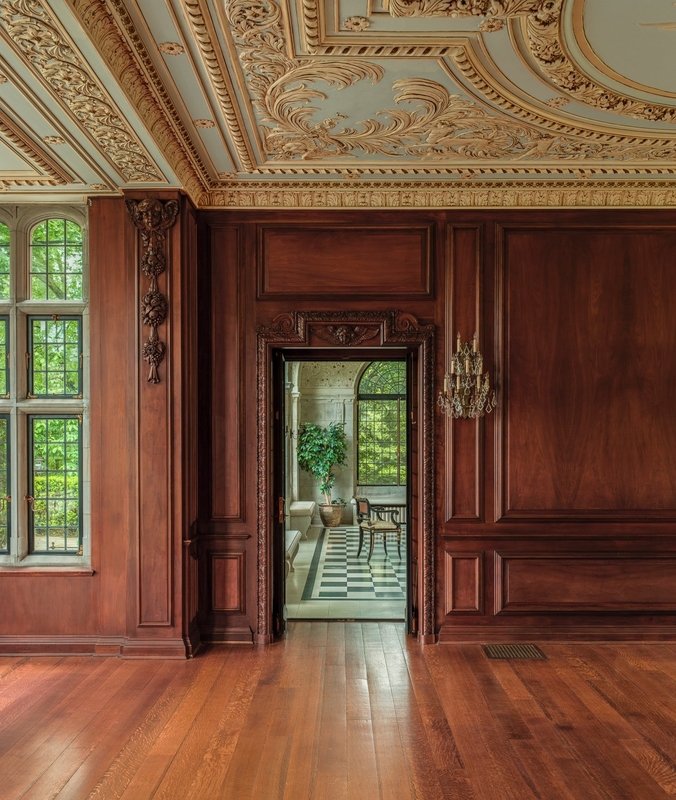 Laura Shedd Schweppe hosted a crown prince and princess of Sweden, who danced on the eastern terrace and Edward, Duke of Windsor and Wallis Simpson. 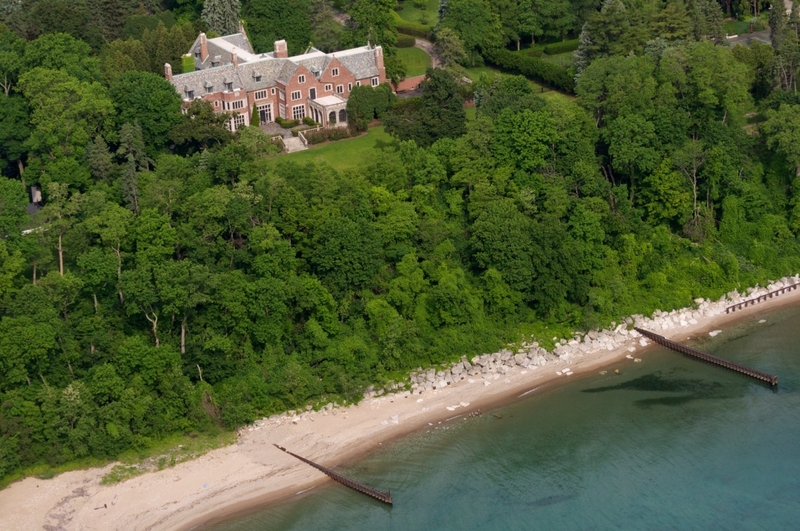 Please click on the Links tab above to view the aerial video. 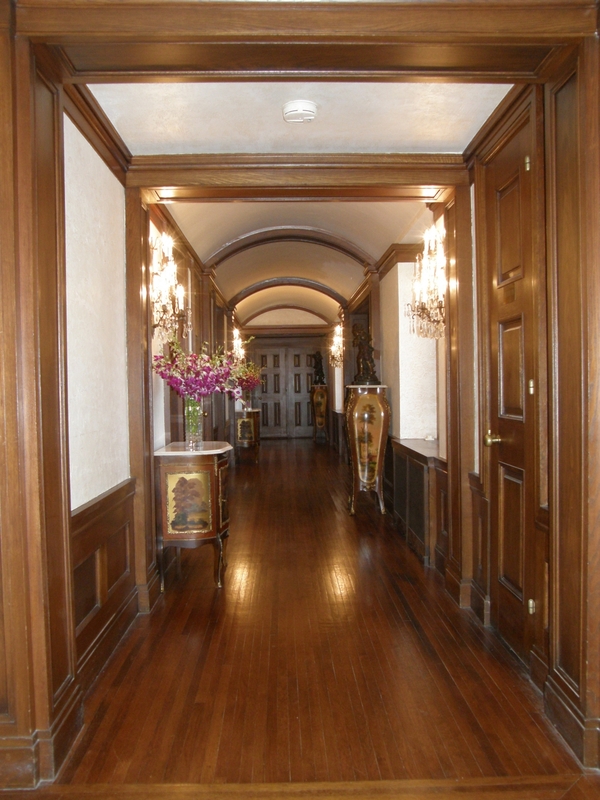 Please click on the Documents tab to view the Details and Survey. 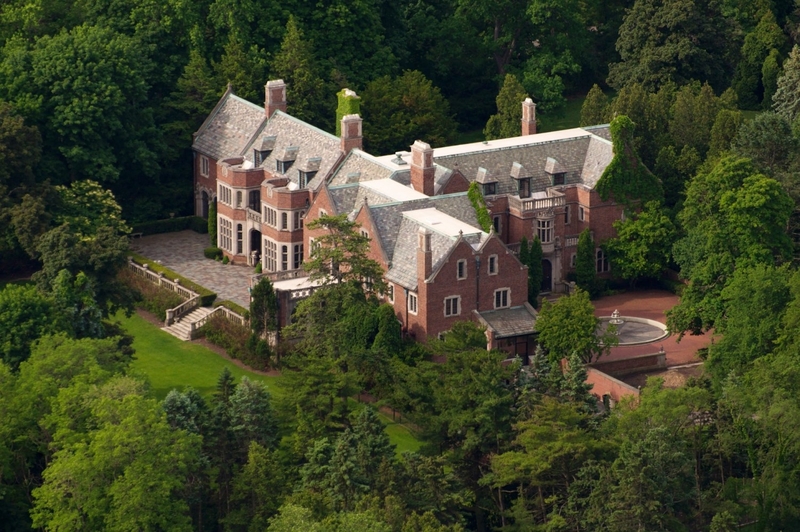 It would cost $70,000,000 to $80,000,000 to build this estate today and many elements could not be replicated. 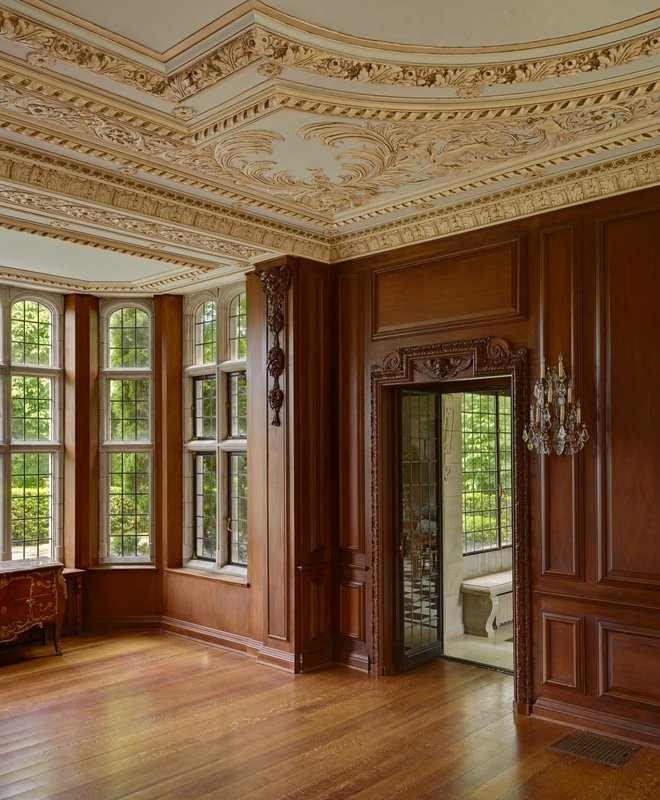 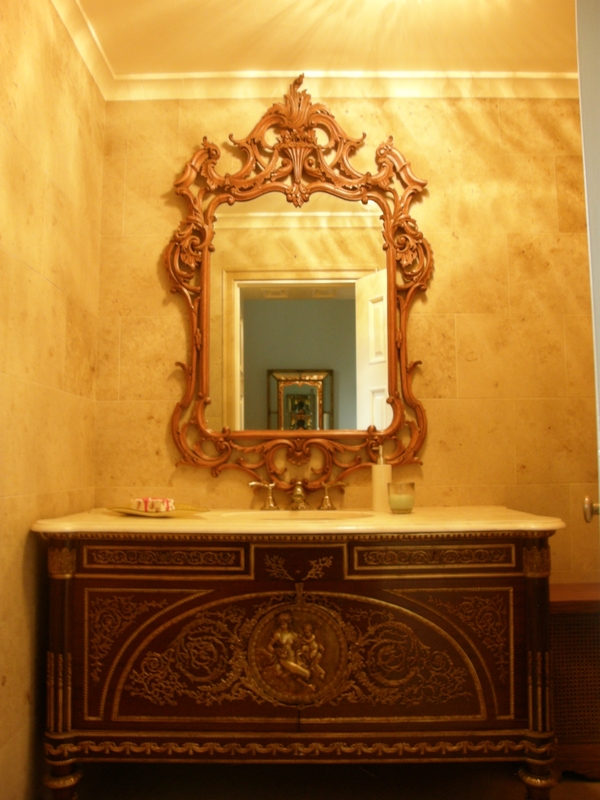 The superior construction and level of intricate hand-carved architectural details and finishes rival the grand estates on the east coast. 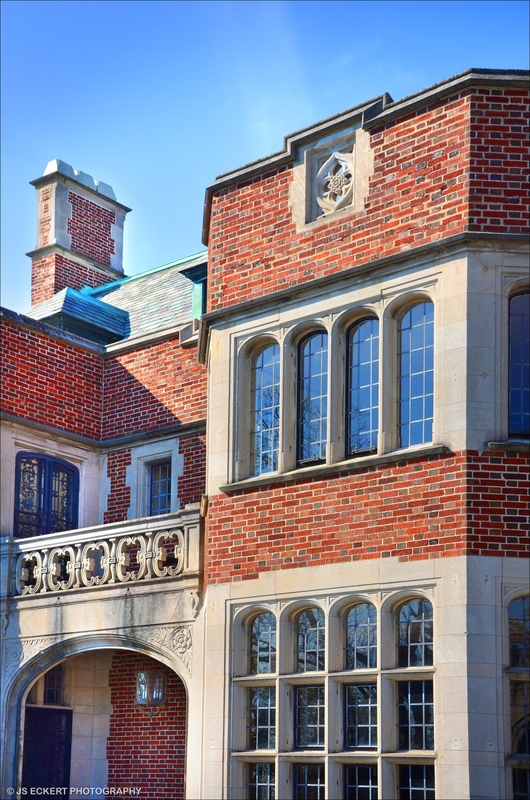 Built of durable materials, this concrete, steel and brick structure features intricate hand-carved limestone, monumental limestone stairs, limestone fountains and ballustrades, Flemish bond masonry walls, slate and copper roofs, decorative copper scuppers, flashing, gutters and downspouts and leaded glass windows with limestone surrounds. 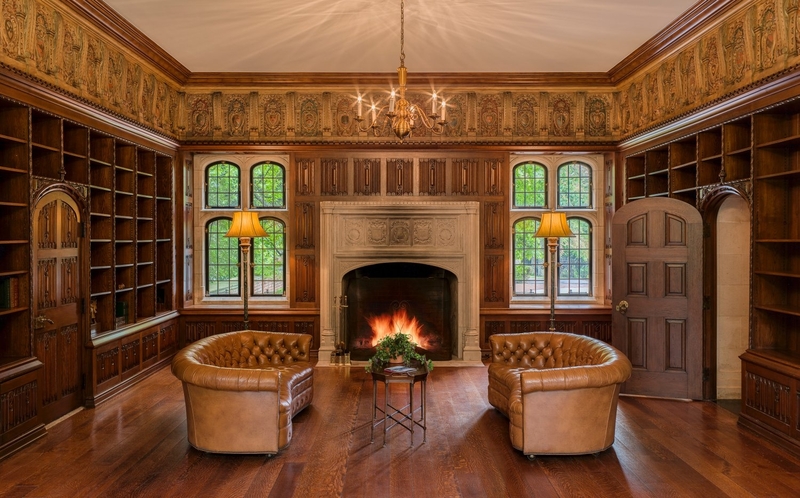 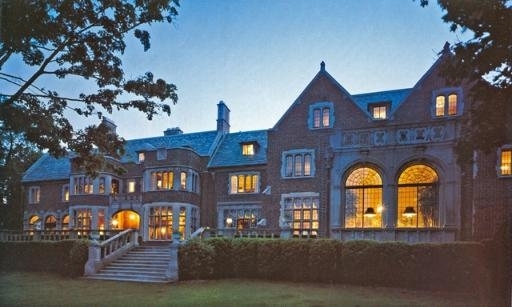 This magnificent English Renaissance estate was designed by Frederick Wainwright Perkins in 1917. 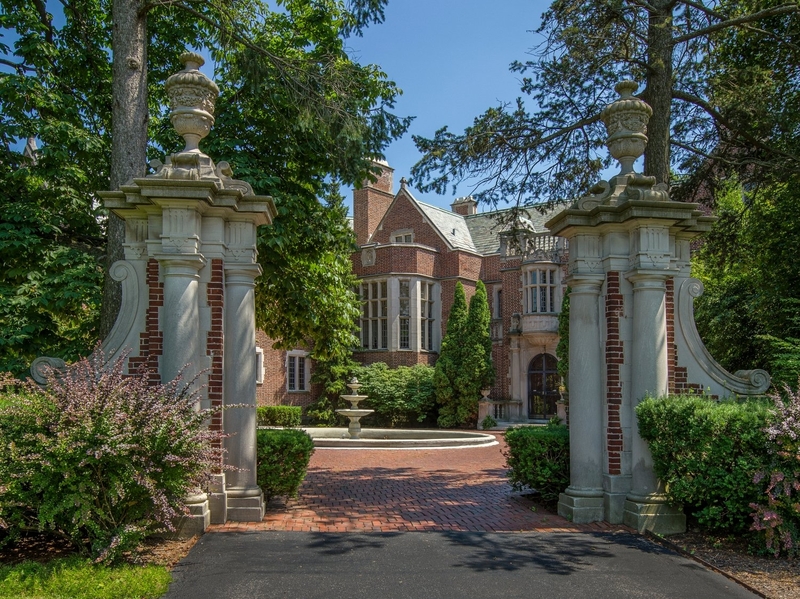 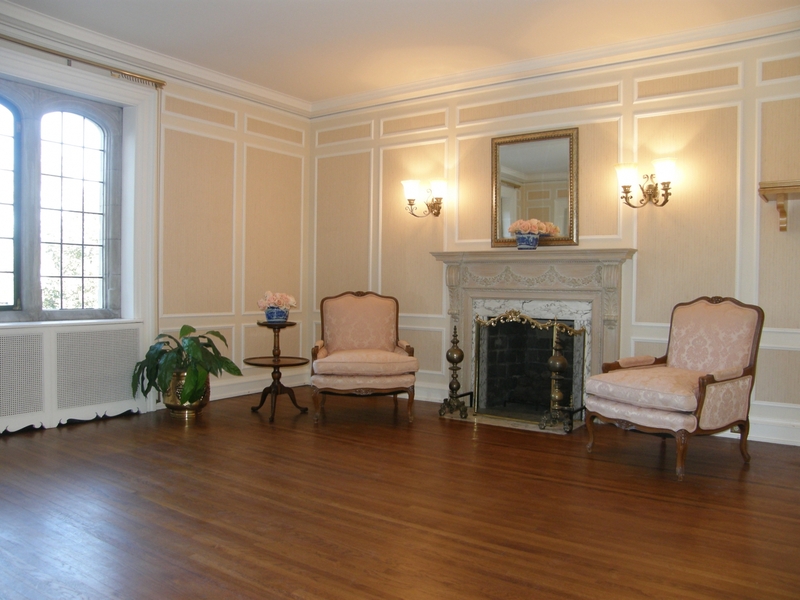 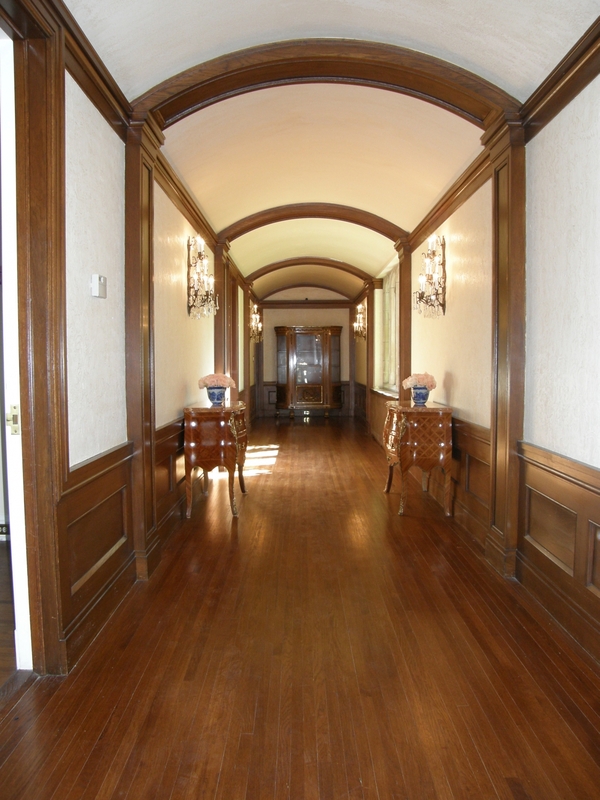 This estate was the gift of Mrs. Schweppe's father, Marshall Field & Company president John G. Shedd. 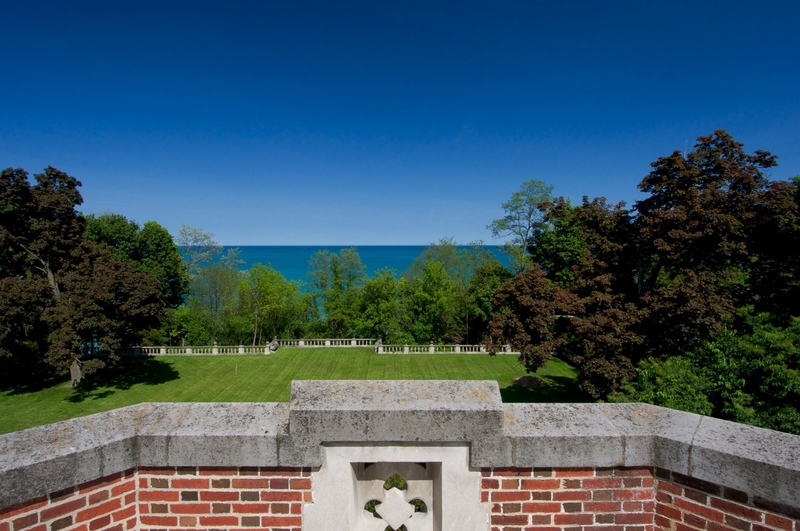 It is beautifully situated on 5.3 lush, private acres overlooking Lake Michigan with approximately 400 feet of beachfront. 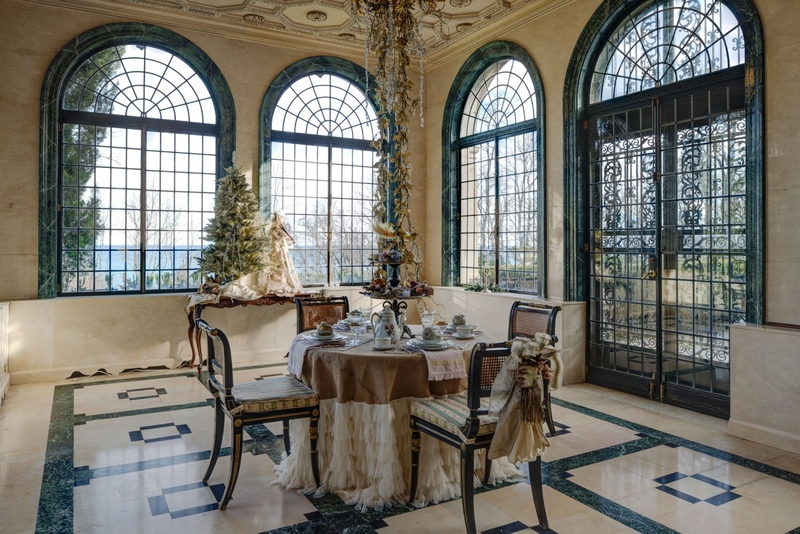 The extensive exterior hardscape, professional landscaping, decorative monumental fountains, grand terraces with limestone balustrade, and open bluff’s edge esplanade make this a place to behold. 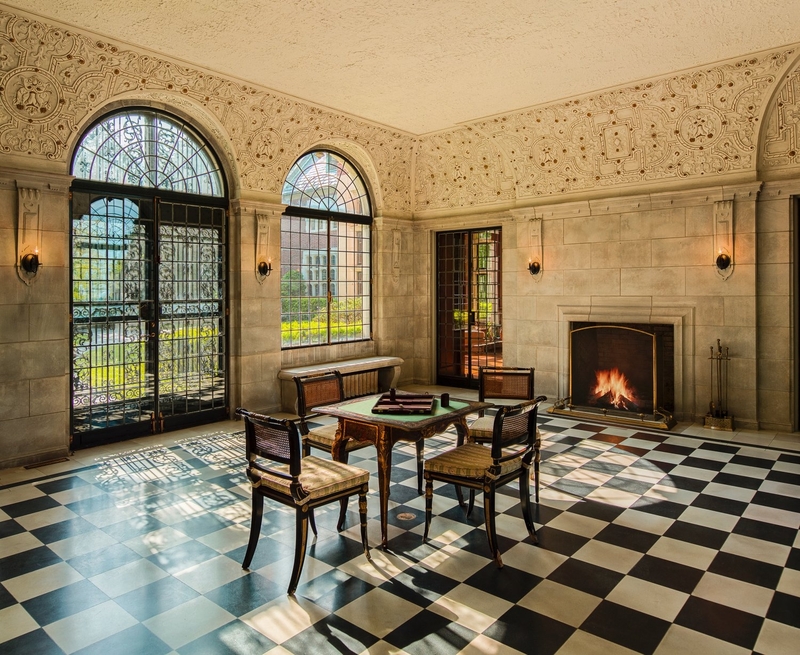 The west terrace and dramatic east bluff-edge terrace were designed by the eminent Boston firm of Pray, Hubbard & Company. 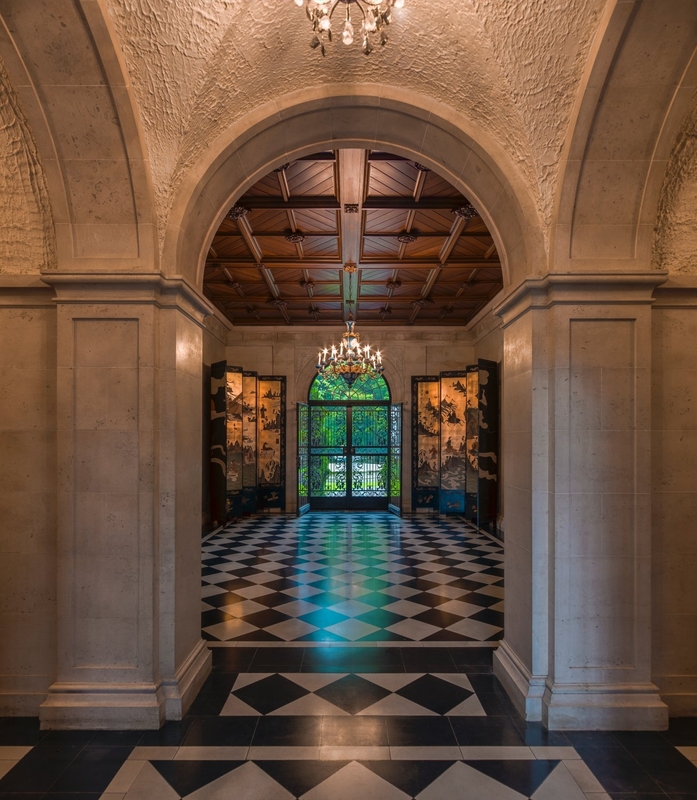 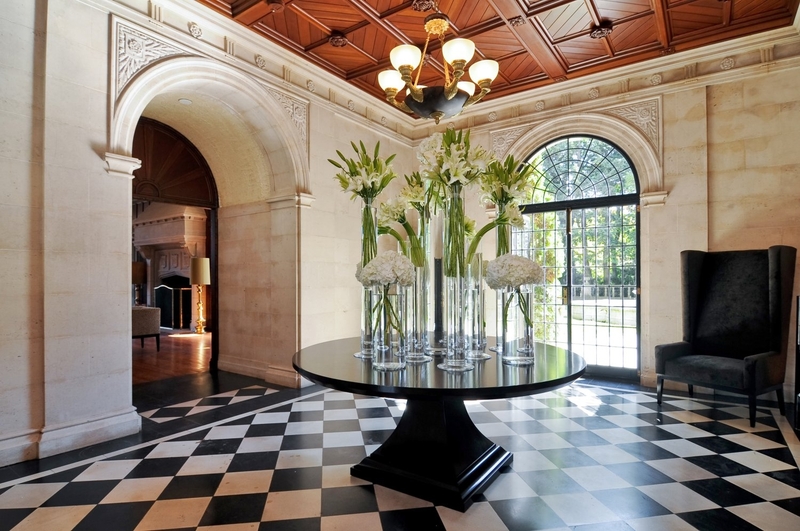 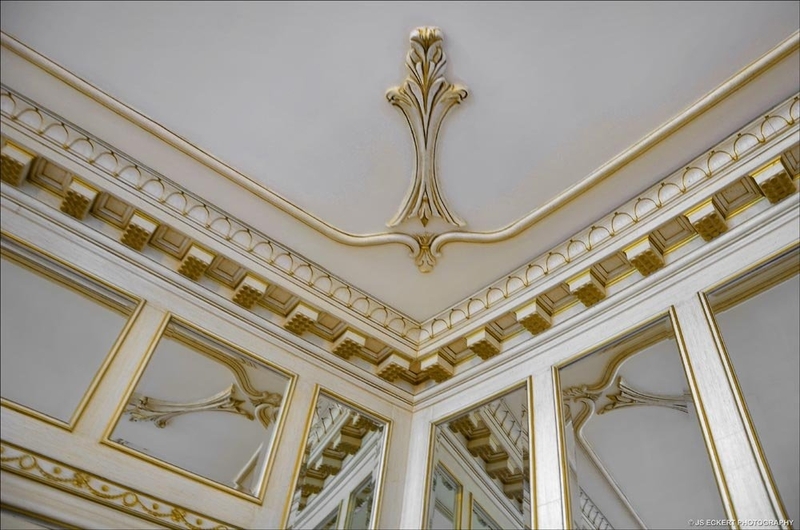 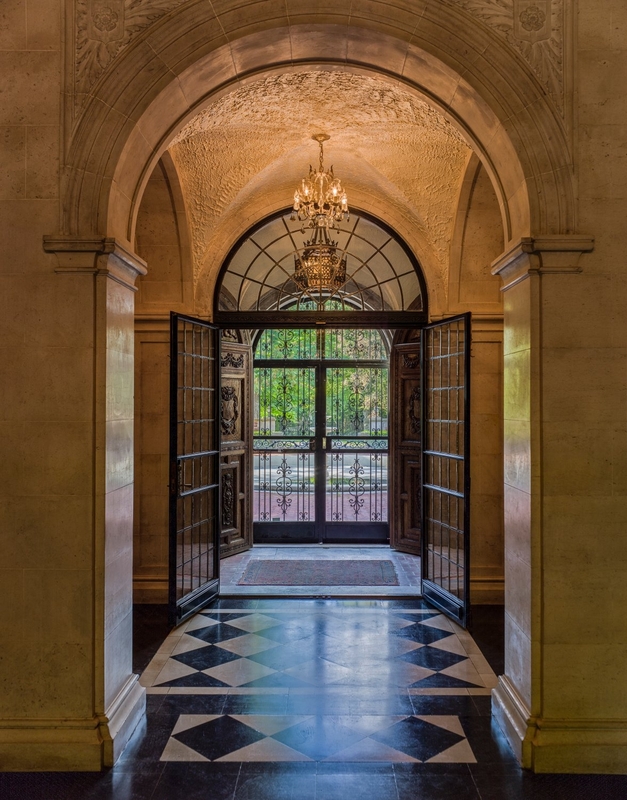 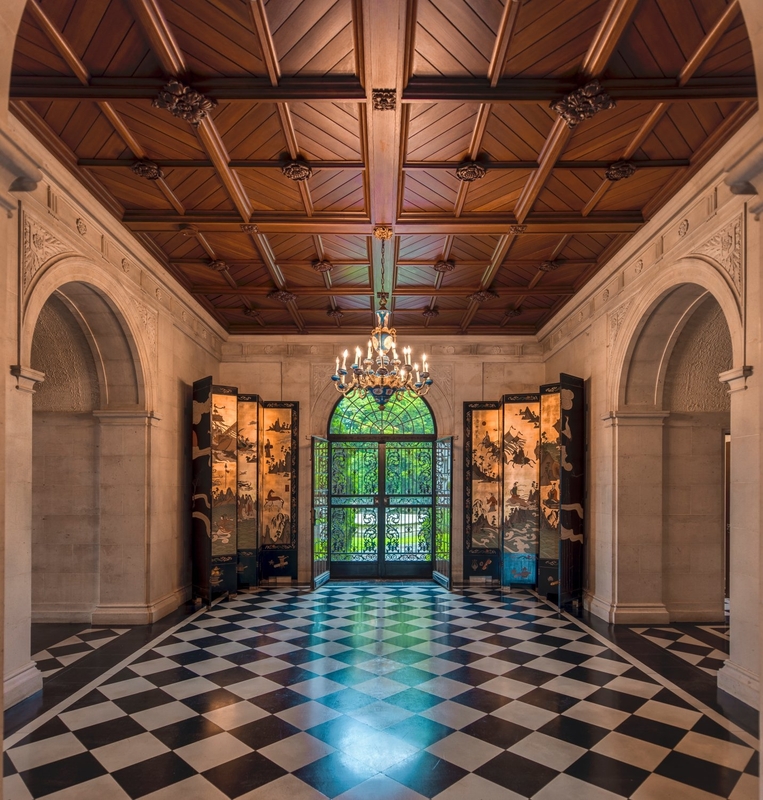 The interior features of this majestic estate include: hand-carved wood millwork and mouldings, hand-carved limestone surrounds and walls, 11 fireplaces with exquisite hand-carved marble and limestone mantles, plaster walls and intricate plaster relief ceilings. 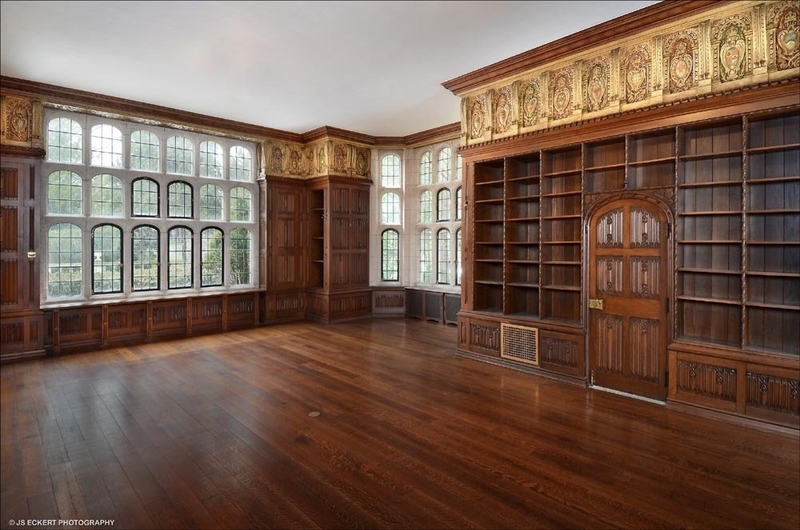 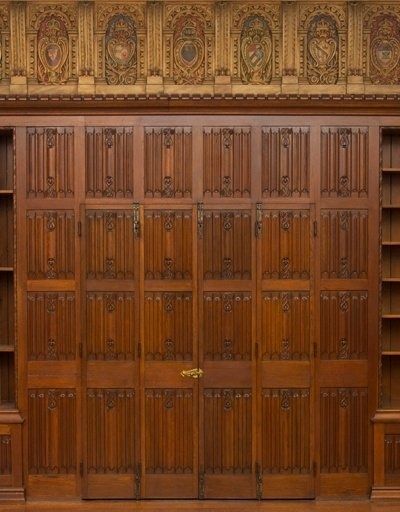 The spectacular library with hand carved “linen fold” panels and handsome carved bookcases with exquisite coat of arms detailing is one example of the exceptional craftsmanship embodying this estate. 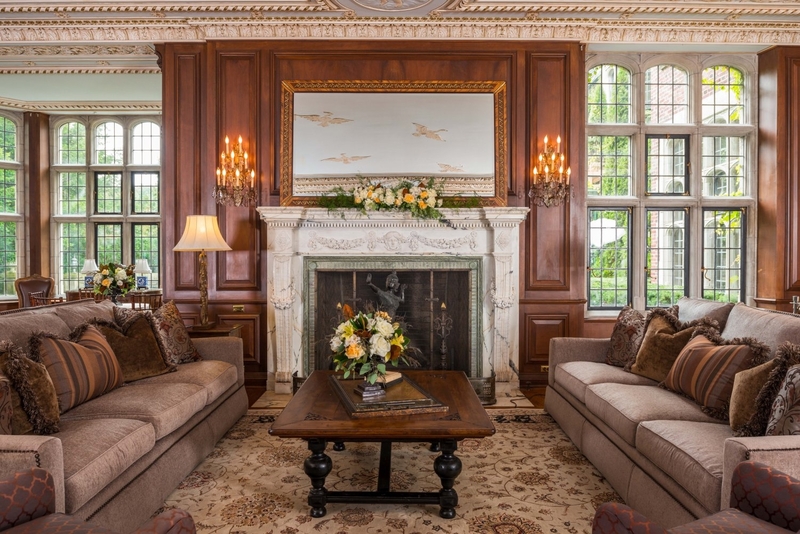 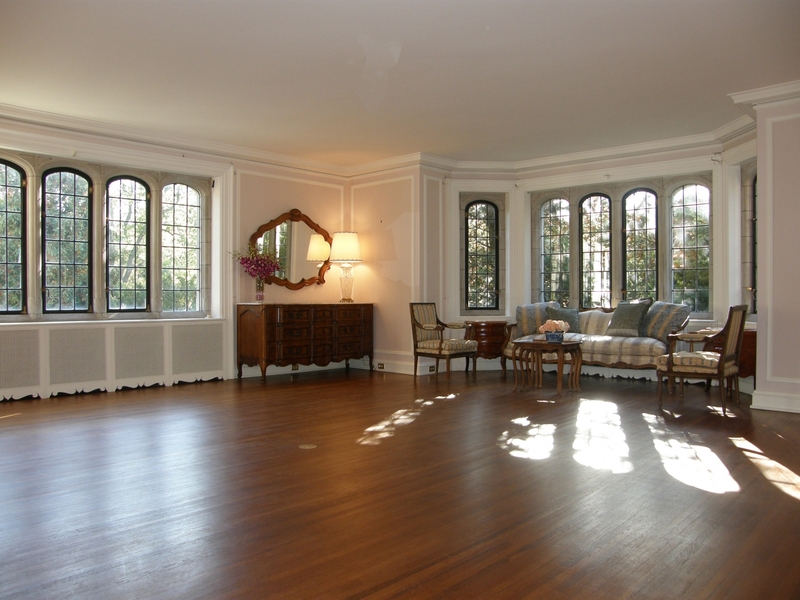 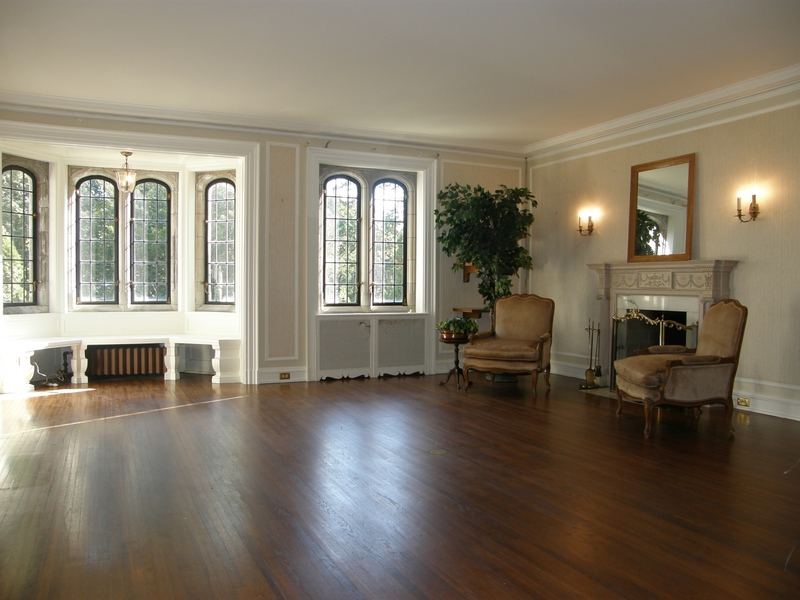 Enjoy the warmth and elegance of the grand sun-filled rooms with amazing views of the beautiful grounds and Lake Michigan. 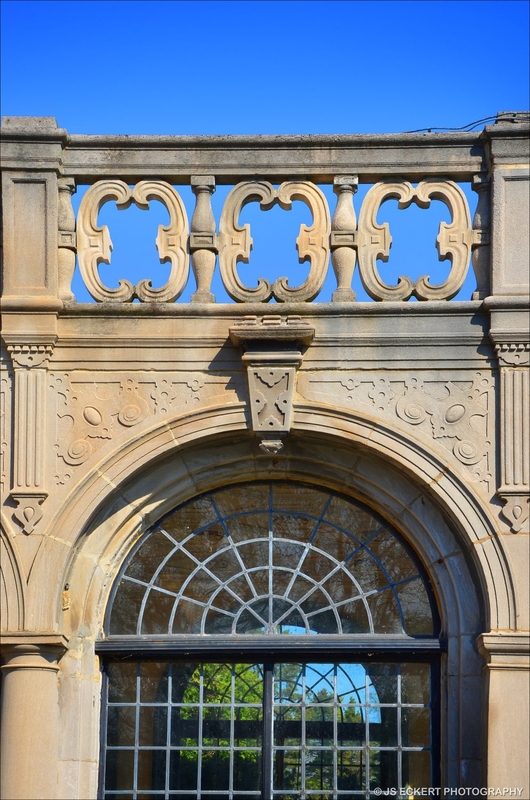 Please click on the Documents tab above to view the plat of survey.